Mix the Greek yoghurt with the Filippo Berio Classic Pesto. Crumble over the feta cheese and sprinkle with Filippo Berio Extra Virgin Olive Oil. 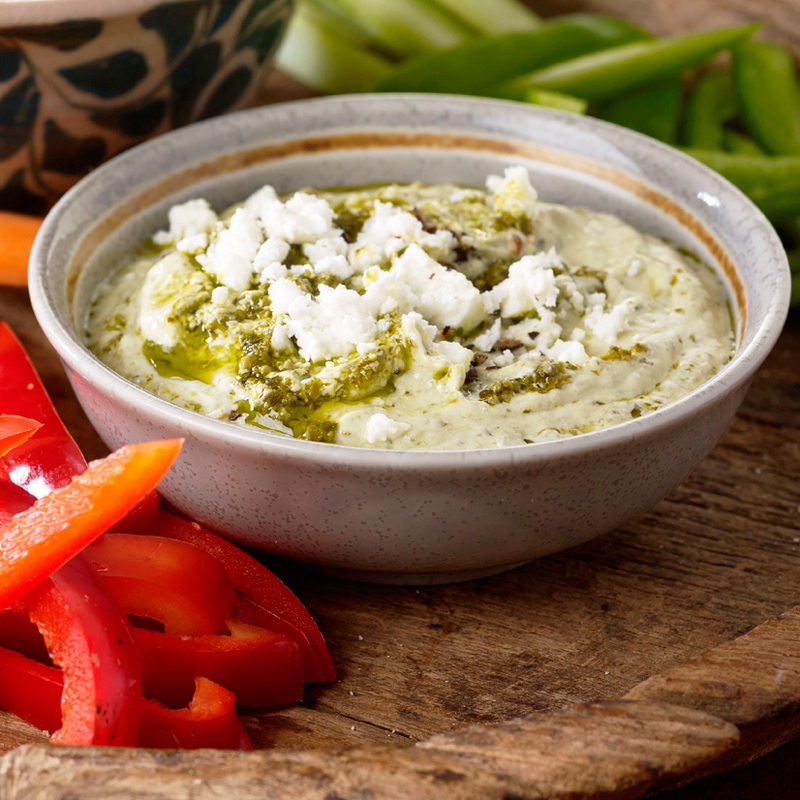 This wonderfully simple, creamy feta dip makes a lovely light snack or pre-dinner nibble served with pita or crudités.